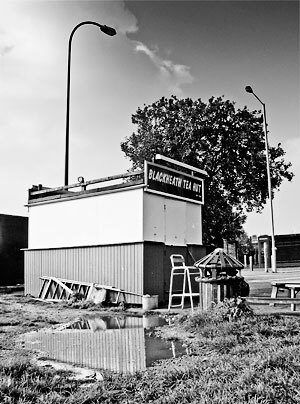 This piece, written in September 2011, was an attempt to get to grips with Blackheath and the origins of the Blackheath Tea Hut, a legendary refreshment stop on the A2. 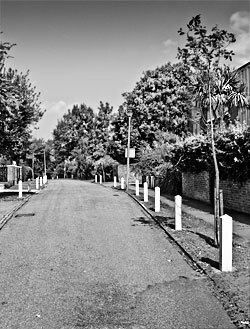 The bit about Eltham refers to those denizens of SE9 who, figuring that the best response to London’s recent riots was some good old-fashioned knuckle-dragging racism, set up vigilante patrols on the High Street to protect their homeland from residents of Lewisham, who on average have slightly darker skins. The Paragon is a small piece of Bath transplanted to SE3. I’ve never really got to the bottom of Blackheath. As an East Ender exiled in Vauxhall, I never quite knew what it was for – it wasn’t like it was even on the way to anywhere. I knew about Greenwich, obviously – Greenwich was where Time began (I forget when, but I’m sure you can ask in the Tourist Office) – and, yes, the same reckless spirit of adventure that had once driven Amundsen to the Pole had occasionally caused me to venture right through the park to Blackheath Gate. But those sturdy brick pillars were as far as I ever got. Across the bleak tract of grass beyond the wall, the pale spire of All Saints’ church was the unrigged mast of an abandoned ship slipping slowly below the horizon: to step beyond the safe confines of the park, it seemed, was to fall off the edge of the world. Eventually, of course, I made it across – I twice failed in person to persuade the (now defunct) bookshop by the station to stock Smoke, once spent an enjoyable evening with Jeremy Hardy at Blackheath Halls (he was on stage, I was in the audience), and my critique of the 108 for Smoke’s regular “Bus of the Month” feature involved a round trip one afternoon to the Standard – but no visit ever left me feeling anything other than confused: Blackheath was weird. As befits, I suppose, somewhere that manages to be simultaneously both on top of a hill and in a valley. Having finally upped sticks and moved to SE10, though, I felt I should investigate the matter properly, so… that’s what I’ve been doing. And what a fascinating exercise it’s been. Did you know, for instance, that the heath was the rallying point for the Peasant’s Revolt? Or that Blackheath is England’s oldest rugby club? Or that Jeremy Hardy once played Blackheath Halls? 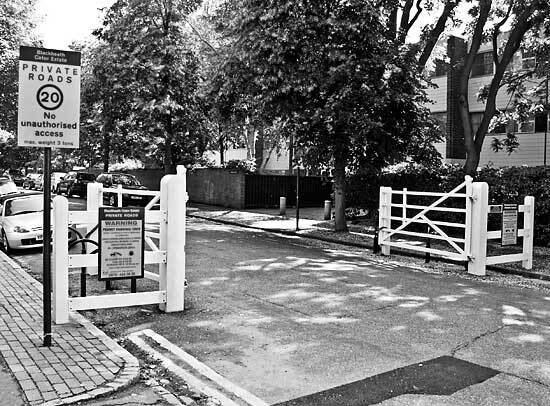 If so, you probably also know that the name “Blackheath” has nothing to do with the Black Death and plague pits, but has its origins in an eighteenth-century house of refreshment set up on Shooters Hill Road by an ambitious young African gentleman by the name of Keith Chambers who, having been recently emancipated by the findings of the Somersett case, was now determined to make his way in the world. Although some of the more reactionary and dim-witted locals complained about the newcomer, and grumbled that their village was “no longer English” – several eventually left to found a new settlement of their own four miles down the A2 – Mr Chambers’ Coffee House was, by and large, a big hit. As was, it has to be said, its proprietor, the handsome and urbane Mr C – even if his clientele, displaying not only their ignorance of socially acceptable idiom but also their preference for the East India Company’s latest leaf-based products, always insisted on referring to his establishment as, I’m afraid, Black Keith’s Tea Hut. Obviously to modern sensibilities such language is reprehensible, which is why it’s probably a good thing that, when the South Eastern Railway arrived in the 1840s, its surveyors misheard the name of the establishment into which they’d just dropped for a cuppa and, assuming that the houses in the dip across the grass must be the hamlet alluded to in the café’s name, (mis)signposted their new station accordingly. Where was I? Oh, yes, Blackheath. So, anyway, I’ve been cycling around, up and down, and… here’s the thing: yesterday morning, just off Lee Road, I encountered… gates. Yup, gates. Across roads. GATES! Wood-slatted white-painted five-bar gates of the sort which should have mournful cows peering over the top of them and a bit of snagged wool in the hinge, not threats of clamping stapled to the rungs – yes, that sort. People of Blackheath!!! Listen to me. THIS IS NOT NORMAL! Roads aren’t supposed to have wood-slatted white-painted five-bar gates across them. And verdant verges edged with neat white posts. We live in a city! Roads in cities are supposed to be dangerous and hectic and grubby and noisy and full of kids in hoodies and drunk men shouting. There should be sirens. Oh God there should be sirens. Yet today, all the way from Lee Road to the Paragon – and don’t get me started on the Paragon – nothing disturbed the birdsong and the click of my wheels but a solitary slow-moving Toyota Landcruiser with a small pale child staring out forlornly from behind its tinted windows. This afternoon, cycling down Charlton Lane, I found my route blocked by a level crossing. It seems like I’ve moved to Trumpton.